"Over the years, David has shared many of his ideas and observations with me, such as the ones you will be reading here. I have always been appreciative of David’s complete frankness. It is because David is not afraid to share his innermost feelings with us that his words have so much force. "There is much to be learned here and much to be considered. I, personally, would rather have these essays than a hundred books of mentalism 'secrets.'" 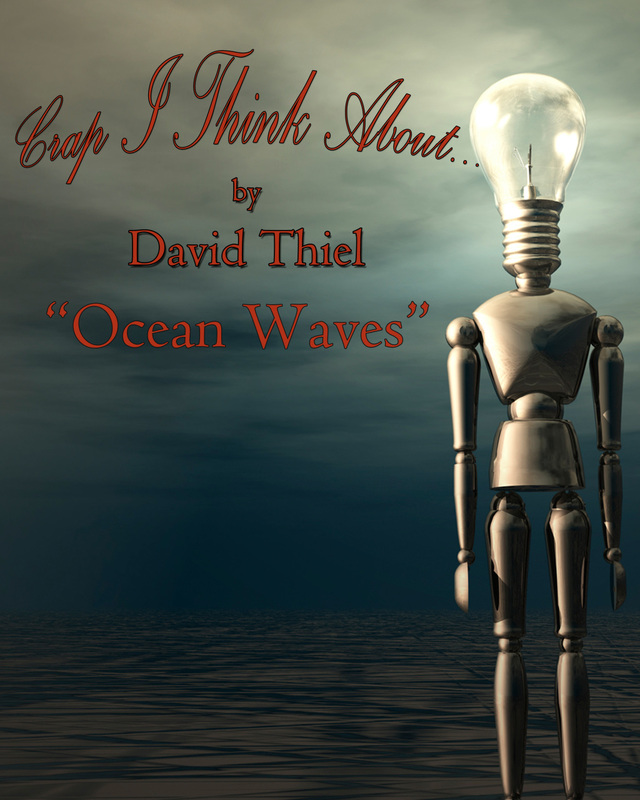 "David Thiel is one of the best kept secrets in mentalism. He has a brilliant mind that is constantly working on transforming mentalism into an art that truly connects with people. This book gives us all an opportunity to peek in on some of those remarkable ideas of his, enjoy great stories and innovative effects. I loved every page. That he is an outstanding writer is a great bonus. Crap I Think About isn't crap at all. It is a true treasure." "I think in stories...and when I share the things I've learned, it seems like every single thing I want to talk about grew out of something that happened to me as I performed...or sat down and really thought about mentalism," says David Thiel. "I love books loaded with great routines as much as anyone. But there are already a pile of them out there. That's why this isn't one of them. While there are some effects in C.I.T.A., most of the book deals with the nut and bolt realities of performing mentalism...and performing it more effectively. "How do you choose the right volunteer for the right effect? How do you line yourself up for media interviews -- and how do you REALLY make them effective? Is there a way to maximize the book tests? How can I be a different performer, set apart from the rest? How can I get started with cold reading?" Essentially? It's a bunch of crap that one of the most engaging minds in mentalism thinks about. Full time road warrior, part-time pro...or someone who performs mentalism for the love of it -- there's some very good crap in this book for everyone. It is on sale for a limited time. "One can never have enough wisdom from those in the trenches, so to speak. It will either enlighten you so that it will save you from making mistakes, be there as an "I told you so" when you do, or validate your own wisdom if it's similar. No matter what, books like this are a fascinating read, especially if the advice is humble, insightful, and honest. And that is rare in a book of this type. 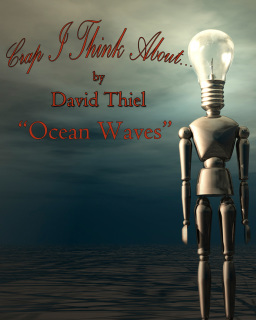 "Happily, I can report that David Thiel's book is indeed brilliantly humble, insightful, and honest. The twenty-seven essays contained within run the gamut of topics, but it's not an encyclopedia, nor is it intended to be. It's just like sitting down with an old friend who's sharing war stories that you can either learn from or commiserate with. Either way, reading these essays is time well spent. This is definitely an e-book that is highly recommended for mentalists of all levels." "David: CITA is full of priceless information that can only be shared by someone with your level of experience and very particular skill set! That some of this information is shared and/or reinforced via the narrative sections is a strength. As is how clearly apparent it is that CITA is written from the heart. I enjoyed the mix of styles and themes in CITA. This is a highly personal book and I think it is the sum total that best conveys David's perspective and experience as a mentalist. "In writing CITA, David has provided us with a road map of HOW to think deeply about mentalism. Via his openness and vulnerability on the page, along with his skill as a writer, David has created a work that I think will be long valued by performers." "David Thiel does not stand still in real life nor does he do so in this book filled with musings from his mind and soul. If you are purchasing this book simply to learn a few "tricks" you will undoubtedly be disappointed. There is some good commercial material, but there is much more. If you wish to delve into the philosophical waxing of a learned performer, you are in the right place. David shares his fears, thoughts, challenges and victories culminating with the person he is today. Some of his ramblings I found hilarious, (but then again, I have a sick mind). David's writing is solid. His years of performing in real life show through in the narratives he openly shares with the reader. David is not afraid to give credit where credit is due. He speaks highly of those who have influenced his style of performing over the years. He shares his vulnerabilities about his near death experience. He pays a touching tribute to "an old friend". "I am really, really enjoying the book. David's writing style is so funny and engaging, and he approaches so many good topics with a refreshing thoughtfulness. And the fiction is awesome! I would easily read a whole book of David's fiction. I know he mentioned cutting some stuff out, but there is nothing at all that I would like to see go. 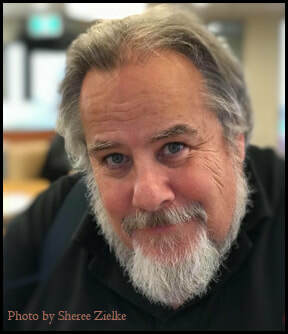 Don't do it, David..."
"If you like David's writing (and who doesn't) then you will enjoy this e-book.I am a hobbyist and am getting a lot of vicarious insights into what it's like to perform mentalism for a living. It makes me both jealous and thankful that I have a 'real' job at the same time.Thanks David for releasing this very personal book." "This isn't one book. It's 30 different books. Each one offers something unique: an insight into cold reading, a story to make you laugh or a few thoughts about what doing everything we do just a little better. I am a better performer precisely because of the things David shares in this book. It's frank. It's honest. It's very, very intelligent. Thank you, David for the crap you've shared in this wonderful book!" "The common advice from professional mentalists is to have clear answers to questions about your character, why you do what you do, and why the audience should care. But rarely do you get concrete examples of how someone has taken that journey to arrive at where they are at, and answered those questions for themselves (fiction aside, e.g., Nightmare Alley). David does that. These stories are both poignant, and even emotional at times, but provide real insight on how to approach your mentalism. What you won't find are several 'tricks' described - they are very few indeed. But I bet you already have far more than you will ever be able to use; and what you find in David's book of Crap will be far more valuable. I plan to study it more to help internalize what I do, and elevate the experience with my participants."